Let me start off by mentioning that this is a very deep rabbit hole. I have made marketing my personal pet peeve to know everything about. I study it feverishly. My wife hates it. Let me debunk what the masses teach you when it comes to marketing. It would be wise to read every article and listen to every audio I have ever put out about marketing. Not only have I studied the best top three marketers in the world, I have tested, compiled, researched, invested, won, lost and achieved amazing breakthroughs in marketing which resulted in huge responses, incredible recognition and some very very very very large paydays. 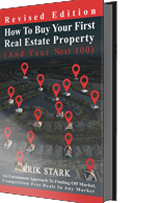 You can also download these two exclusive reports I have done for Preston Elys Real Estate Mogul network outlining a small sample of how we achieved such outrageous results. Check out these two reports.